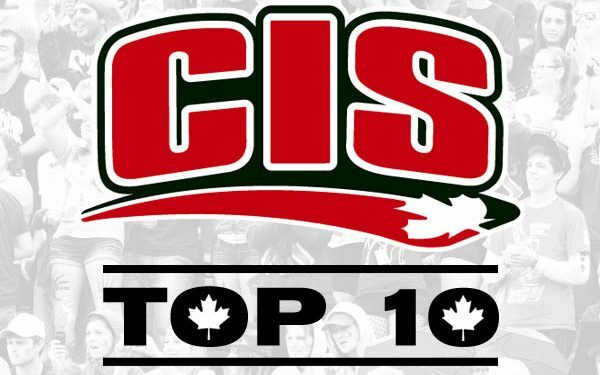 In this week’s release of the #CISTop10 much has remained the same at the top, with all five OUA teams holding on to their respective spots. Saskatchewan has climbed two spots to #6 with solid back-to-back victories over the Manitoba Bison, 92-87 and 87-81. The Huskies are now on a six-game winning streak which they plan to extend to six, with two victories over the 1-13 Trinity Western Spartans this weekend. With a loss to Calgary this past weekend, Victoria dropped one spot #7. Fraser Valley is Still undefeated this season at 14-0, and could likely run the table going into the Canada West playoffs. The million dollar question is, have they been battle tested? Head Coach Adam Freisen’s challenge will continue to be keeping his team motivated and sharp entering every game they play. Jauquin Bennett-Boire Sends defender FLYING!